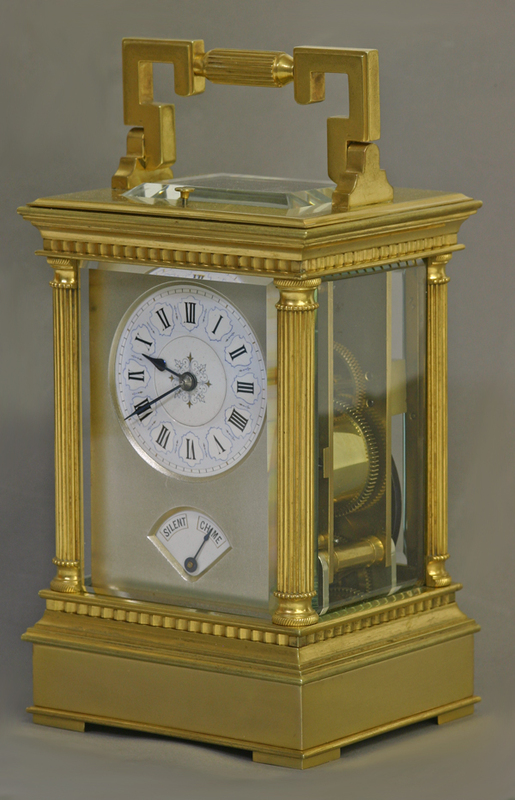 c.1900 Rare French Gilt-Bronze Four-Bell Carriage Clock. 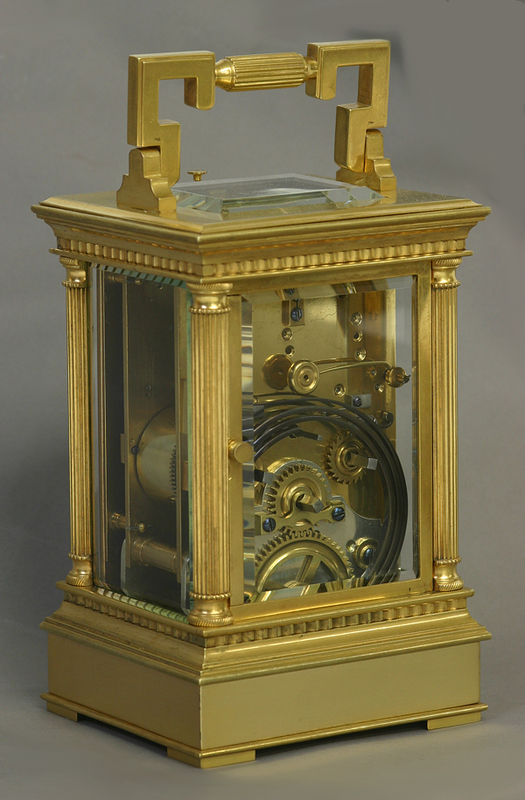 The gilt-bronze anglaise-riche case has columns to the corners, fluted moldings, a hinged handle above, beveled glasses to five sides and a sound fret on the underside. 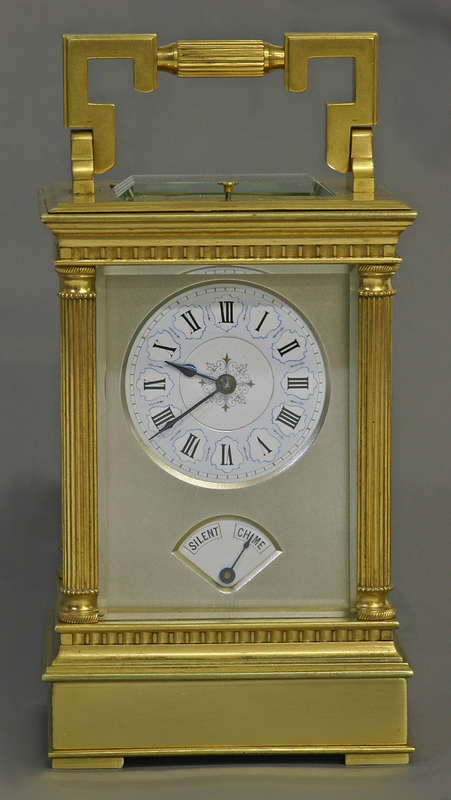 The white porcelain dial has blued steel-cut spade hands and elaborate light blue and gilt decorations that include a pale blue hours chapter with black roman numerals on white stylized cartouche plaques. 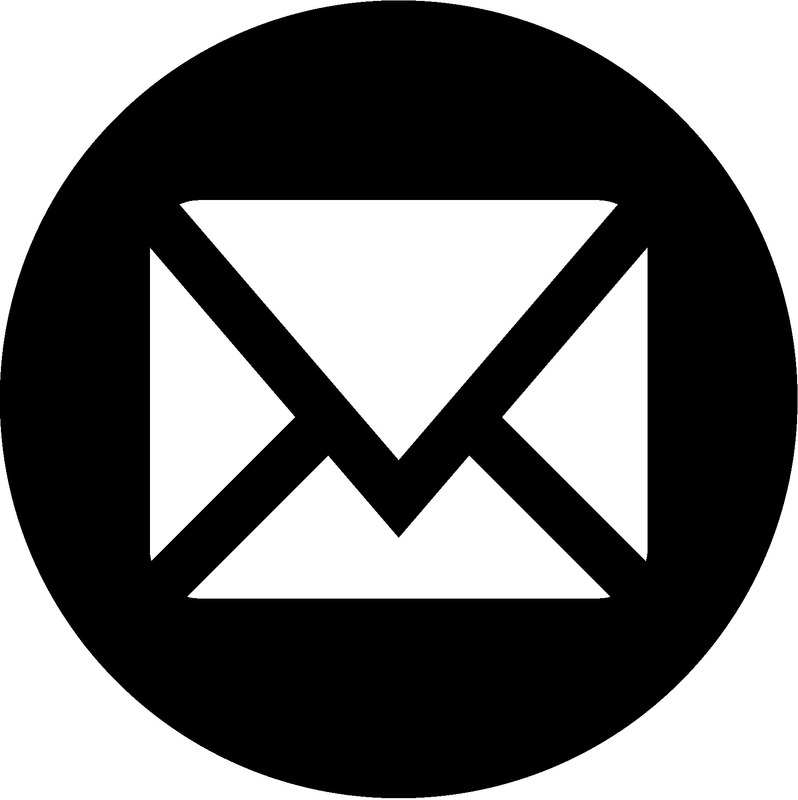 Below is the silent/chime sector aperture and both dials are accentuated by a silvered mask. 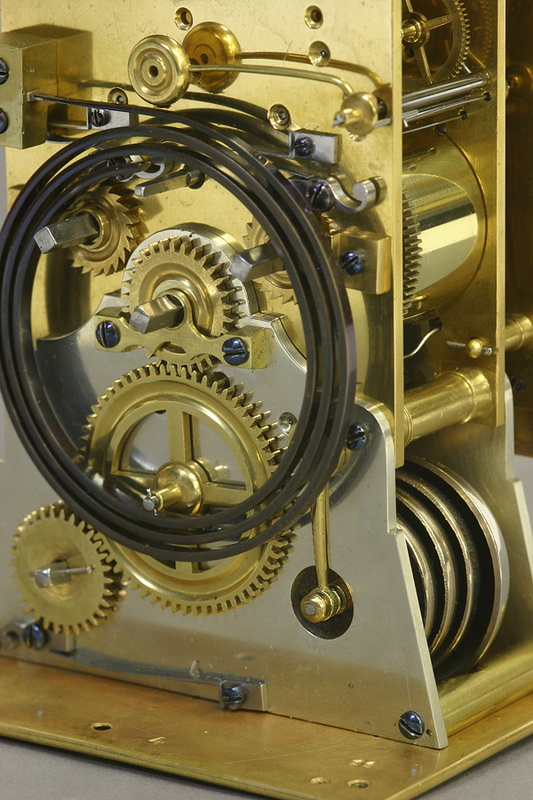 The eight-day three train movement is wound and set off the backplate, retains the original balance platform, has the chime/silent lever out the base. has an under slung chime train with silvered plates and a nest of four bells and strikes the hour on a coiled gong. 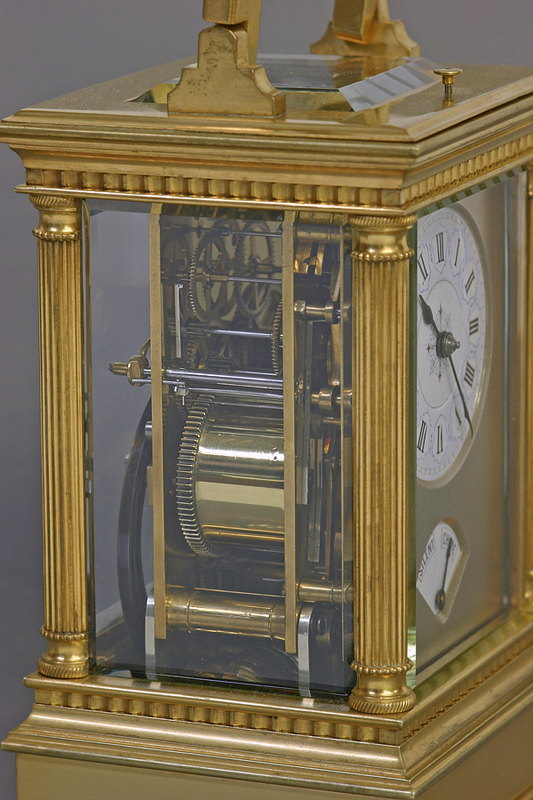 During normal operation the clock strikes much like a Westminster mantle clock playing the first quarter of the Westminster chime at the 15-minute mark and adding another quarter of the tune every 15-minutes. 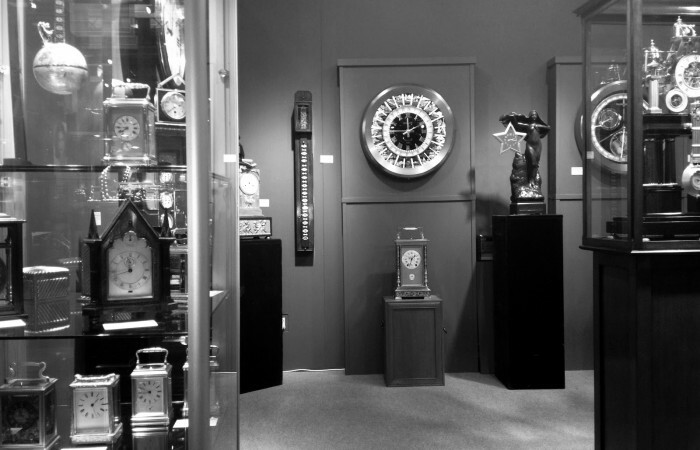 At the hour it plays the full tune on the bells and then also strikes the hour on the gong. 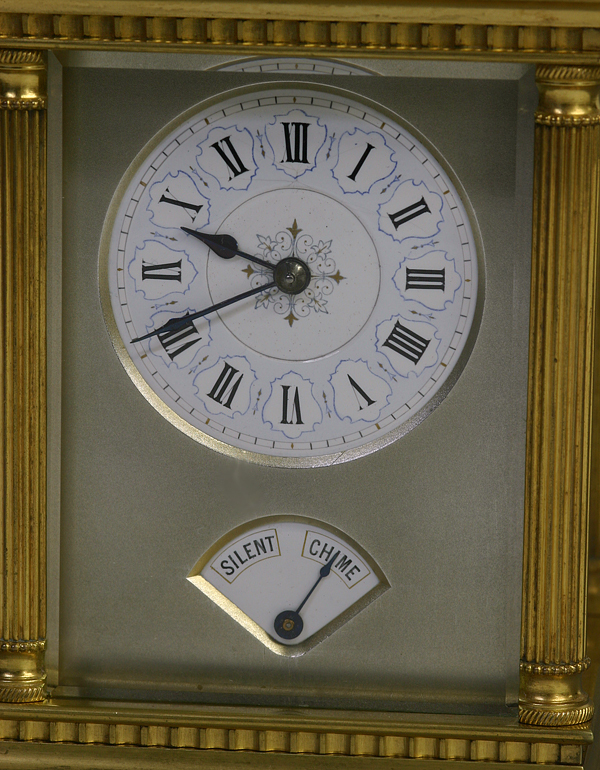 Upon repeat it plays the appropriate quarter on the bells and then also strikes the hour. When the chimes are set to silent it still repeats with both bells and gong and it also still strikes the hour, but only on the gong.